NASA's Opportunity rover has been silent since June 10, when a planet-encircling dust storm cut off solar power for the nearly-15-year-old rover. Now that scientists think the global dust storm is "decaying" -- meaning more dust is falling out of the atmosphere than is being raised back into it -- skies might soon clear enough for the solar-powered rover to recharge and attempt to "phone home." No one will know how the rover is doing until it speaks. But the team notes there's reason to be optimistic: They've performed several studies on the state of its batteries before the storm, and temperatures at its location. Because the batteries were in relatively good health before the storm, there's not likely to be too much degradation. And because dust storms tend to warm the environment -- and the 2018 storm happened as Opportunity's location on Mars entered summer -- the rover should have stayed warm enough to survive. JPL engineers predict that Opportunity will need a tau of less than 2.0 before the solar-powered rover will be able to recharge its batteries. A wide-angle camera on NASA's Mars Reconnaissance Orbiter will watch for surface features to become visible as the skies clear. That will help scientists estimate the tau. Several times a week, engineers use NASA's Deep Space Network, which communicates between planetary probes and Earth, to attempt to talk with Opportunity. The massive DSN antennas ping the rover during scheduled "wake-up" times, and then search for signals sent from Opportunity in response. ● Low-power fault: engineers assume the rover went into low-power fault shortly after it stopped communicating on June 10. This mode causes the rover to hibernate, assuming that it will wake up at a time when there's more sunlight to let it recharge. ● Clock fault: critical to operating while in hibernation is the rover's onboard clock. If the rover doesn't know what time it is, it doesn't know when it should be attempting to communicate. The rover can use environmental clues, like an increase in sunlight, to make assumptions about the time. ● Uploss fault: when the rover hasn't heard from Earth in a long time, it can go into "uploss" fault -- a warning that its communication equipment may not be functioning. When it experiences this, it begins to check the equipment and tries different ways to communicate with Earth. 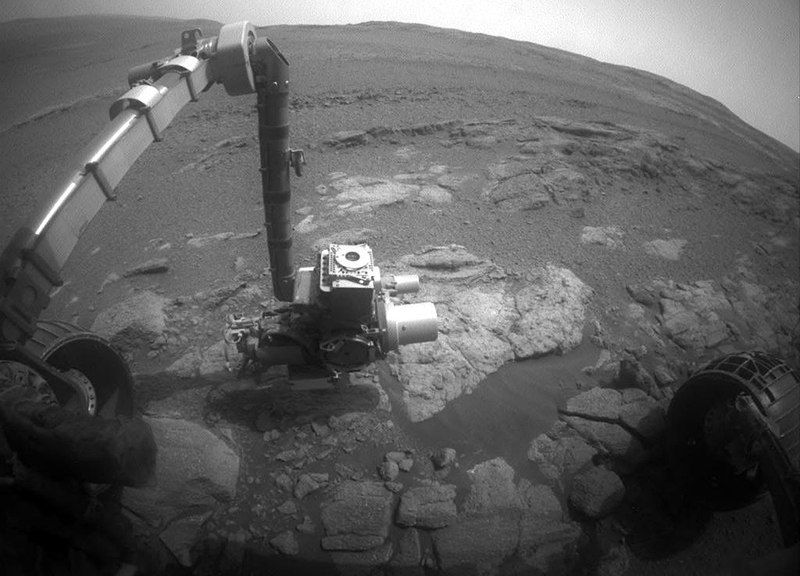 Even if engineers hear back from Opportunity, there's a real possibility the rover won't be the same. The rover's batteries could have discharged so much power -- and stayed inactive so long -- that their capacity is reduced. If those batteries can't hold as much charge, it could affect the rover's continued operations. It could also mean that energy-draining behavior, like running its heaters during winter, could cause the batteries to brown out. Dust isn't usually as much of a problem. Previous storms plastered dust on the camera lenses, but most of that was shed off over time. Any remaining dust can be calibrated out.